Steve Berroth, who joined Aerion in 2018, has been promoted to become chief operating officer and program manager for the company’s AS2 supersonic business jet program. Berroth has 35 years of experience in aerospace and aircraft development. 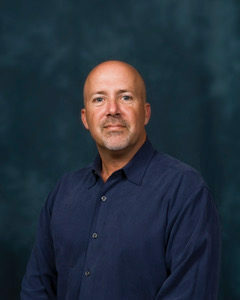 Berroth previously worked at Northrop Grumman for 31 years in various leadership positions, including director of production operations and program manager for numerous advanced aircraft and rotorcraft programs. He led flight test operations for several aircraft programs prior to his program manager responsibilities. He also served Triumph Aerospace Structures as vice president of metallic and composite components programs and operations. In that role, he led six site presidents with more than 3,000 employees in operating companies around the globe. Berroth holds a bachelor of science degree in electrical engineering from Wentworth Institute of Technology in Boston, Massachusetts. He is also a graduate of Defense Acquisition University Program Management at Fort Belvoir, Virginia, and the University of Michigan’s Executive Program at the Ross School of Business. He is a senior member of the Institute of Electrical and Electronics Engineers.